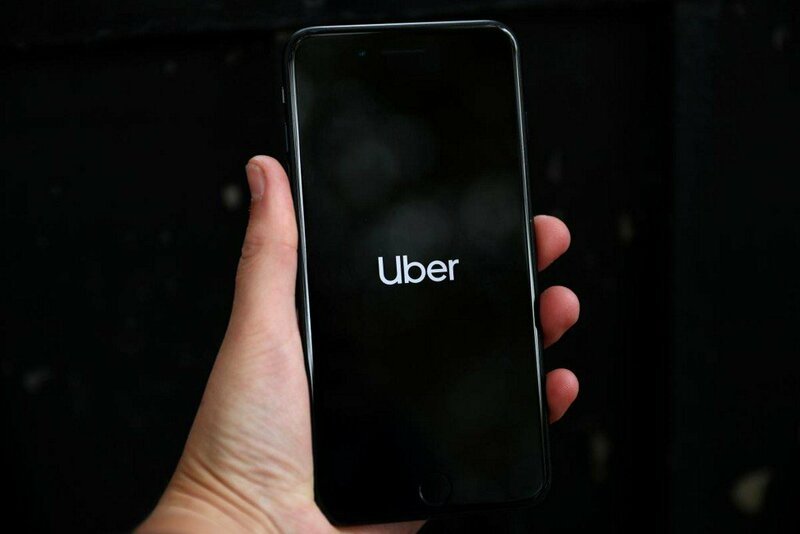 Uber’s logo is displayed on a mobile phone. Uber Technologies Inc on Thursday is resuming limited self-driving car testing on public roads in Pittsburgh, nine months after it suspended the program following a deadly accident in Arizona. The return of testing comes days after the state of Pennsylvania granted Uber permission to resume testing. The relaunch is a significant reduction from Uber’s previous self-driving operations. The company had operated its fleet in autonomous mode on public roads at high speeds, after dark, in areas crowded with pedestrians and with a single backup driver in the front seat. This time, the cars will not operate at night or in wet weather and will not exceed speeds of 25 miles per hour, the company has said. Uber will resume testing with two employees in the front seat, enable an automatic braking system at all times, and more strictly monitor safety employees after it said it made improvements to the vehicles’ self-driving software. The company for the time being will not resume picking up passengers in the robot cars, a service Uber launched in 2016. Earlier this month, it was reported that Uber planned to initially begin driving a handful of cars on a mile loop between two company offices in Pittsburgh, where Uber first debuted its autonomous vehicles in 2016. Uber also said it is resuming manual driving of its self-driving cars in Toronto and San Francisco that will be controlled by a driver and monitored by a second person in the passenger seat. Manual driving helps the company gather data on new driving scenarios, Uber said. Eric Meyhofer, who heads Uber’s Advanced Technologies Group, said in a blog post that Uber has “reviewed and improved our testing program to ensure that our vehicles are considerate and defensive drivers.” He added that vehicles “must pass a series of more than 70 scenarios without safety-related failures on our test track” before testing on public roads. The crash was the first death attributed to a self-driving vehicle. The death prompted significant safety concerns about the nascent self-driving car industry, which is racing to get vehicles into commercial use. The National Transportation Safety Board (NTSB) and National Highway Traffic Safety Administration are investigating the fatal crash. The NTSB said Uber had disabled an emergency braking system in the modified Volvo test vehicle. Uber said the Volvo automatic emergency braking system will be activated at all times. December 20, 2018 January 10, 2019 247newsupdateAmerica, Business, TechnologyUber autonomous vehicle test, Uber Inc.